The emission characteristics of vehicles are monitored by the legally prescribed on-board diagnostics (OBD). Each emission-relevant ECU must therefore support the OBD diagnostic. If exhaust-related errors occur (for example, a misfire), they are stored in the fault memory of the ECU and the driver is warned by an indicator, the so-called MIL (malfunction indicator lamp). Using an OBD diagnostic tester, the stored DTC (diagnostic trouble code) can later be read and analyzed. Emission-relevant ECUs are no longer limited to the powertrain. 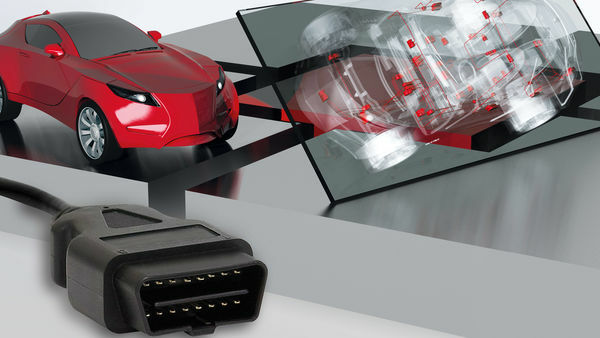 Therefore more and more automotive suppliers face the challenge to develop OBD-capable ECUs. Vector supports you with powerful tools and embedded software.